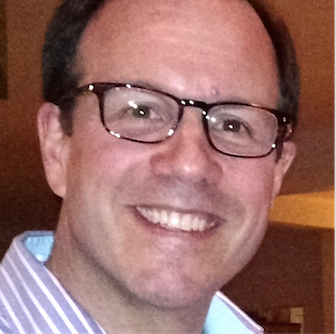 September 2017's issue of the AOC's Journal of Electronic Defense contained a surprisingly revealing article by US Army CW2 Patrick Derr, entitled "Army Brigade Electronic Warfare Weapons Teams Learn New Lessons at NTC." Opening the kimono on the state of EW in the US Army prompts us to comment, as many of the issues raised are easy to solve with the right equipment. Chief Derr, we've got your back! It all boils down to propagating a signal effectively - i.e. getting photons from one spot to another. For radio waves, this can be a complicated topic, but usually is solved with gain, line of sight and sometimes fancy signal processing. In previous blog posts about jamming and drone detection, we've explored the basics of communication link budgets and jamming effectiveness. Notwithstanding the over-abundance of dBs in the equations, performance is strongly driven by RF power levels, antenna gains and electromagnetic propagation characteristics. Chief Derr mentioned a lack of directional antennas as a limiting factor for effectively employing EA in their exercise, especially for VHF. To get gain and directivity at these frequencies, the antenna needs to be on the scale of several meters in length and width. Making such an antenna tactically practical is an electrical/mechanical engineering challenge. Yet, we have this solved with the lightweight, portable wire-element log periodic dipole antenna shown here: LPDA-A0097. Its 30-500 MHz frequency range, gain up to 6 dBi and 200 W power handling make it nicely suitable to expeditionary electronic attack (EA). Setting up the antenna takes only a minute; it is simply a matter of unfolding the arms and bowtie then deploying the 'stinger' at the back, which tensions the LPDA wire element catenaries. The LPDA-A0097 is a 11.6 x 6.2 x 1.4 foot antenna when deployed, and weighs only 25 pounds. 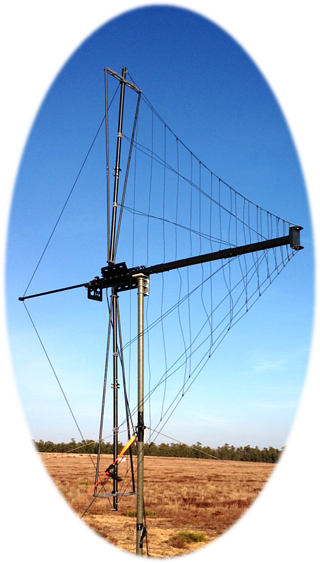 It is easy to attach a mast to raise it above the ground and includes a rotating bracket to change polarization without lowering the mast. Compared to a wideband V/UHF whip antenna on a vehicle, this LPDA antenna would deliver at least ten times more power on the opposing force target. BTW, if high-gain U/SHF directional antenna coverage is needed, check out the LPDA-0121, a rugged 400-6000 MHz, 8 dBi, 100W log periodic dipole antenna. Chief Derr also noted needing line of sight to overcome obstacles and get power downrange to accomplish sufficient standoff - increasing survivability. Again, we have this need covered by a winch-driven telescoping mast family capable of erecting antennas weighing as much as 70 pounds to heights of up to 18 meters. The STV MAST series includes masts heights of 8, 10, 12, 15 and 18 meters in two versions for medium and heavy loads. The picture above shows a directional antenna on the 12 meter STV-12/128 mast. 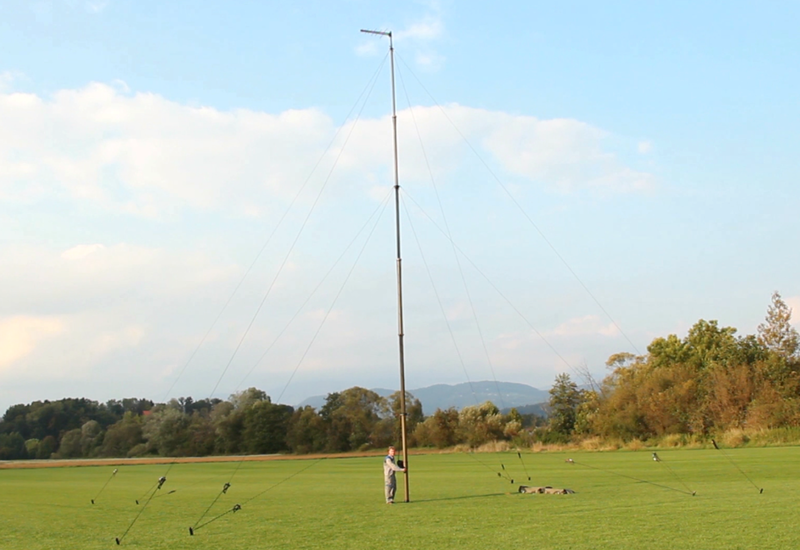 You can see the setup and raising of this mast on our videos page. Surely, an STV or one of our other masts can give EWW teams the propagation advantage they need, allowing the antenna to 'see' over a hilltop, while their equipment stays hidden behind it. Chief Derr mentioned long-range command and control, with its 'blessing and curse' reliance on scarce and expensive SATCOM equipment. He suggested having backup HF communications. Once again, Chief, we've got your back! So with NVIS and/or LOS HF radio comms, a brigade-sized theatre can be easily covered with modern digital services when SATCOM is down or unavailable. The bottom line is this. 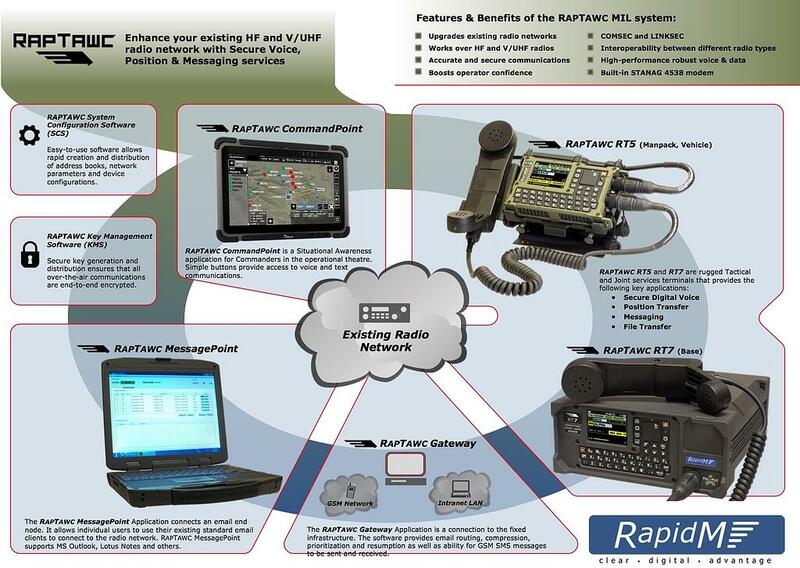 US Army EWWTs can benefit from existing technology that we have sourced for easy purchase in the CONUS. 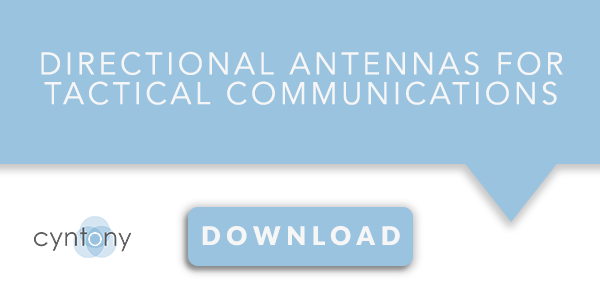 Want to learn more about how our portfolio of ES and EA antennas as well as specialty EW and COMMS electronics can benefit your system integration? Contact me, and jam on!